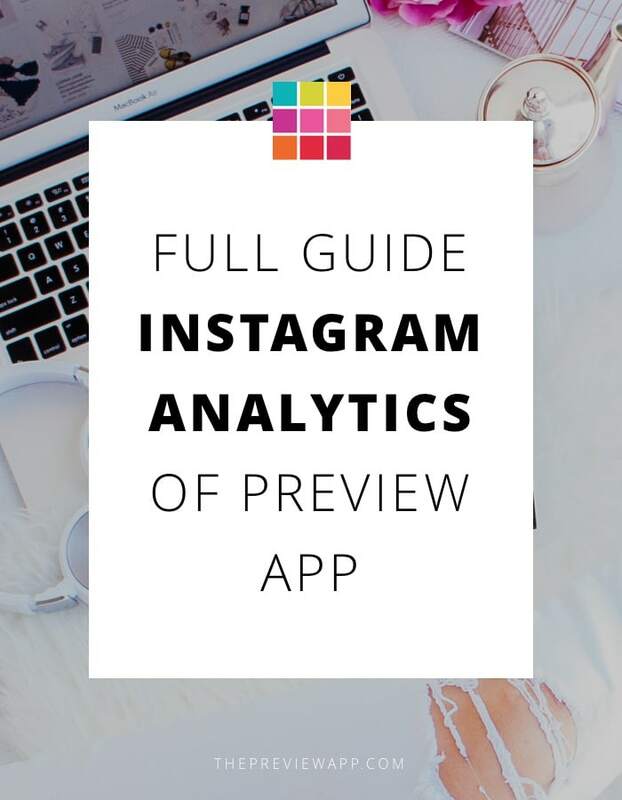 We’re excited to tell you guys about the new Instagram Analytics tools in Preview App! The awesome thing about Preview app is that you see your analytics as soon as you start using the app. You don’t have to wait a few days to see your analytics. Let me show you what’s in there. I’ll also give you tips along the way. Are you new to Preview App? If you’re new, let me give you a quick intro of Preview (if not, continue to scroll :). 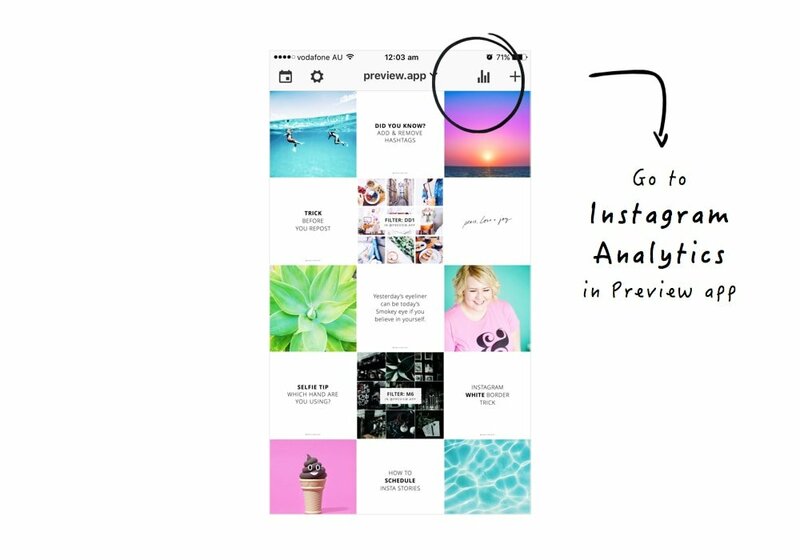 Preview is literally the only app you need to manage your Instagram account. You can visually plan your feed (drag & drop to design your feed), edit your photos, save hashtag groups, schedule your posts, schedule Insta Stories, find Instagram hashtags… and so much more! Everything is in this one app. Cool uh? Download it here (it’s free). 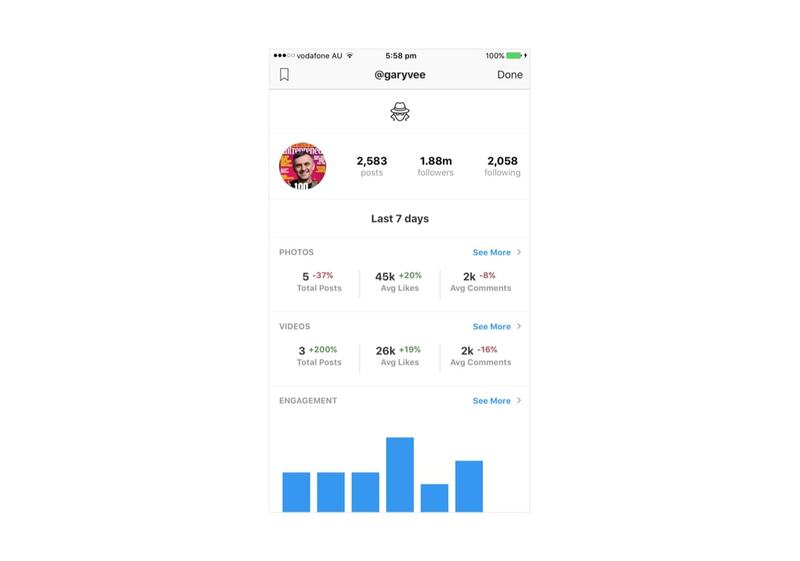 I’m now going to walk you through each section of the new Instagram Analytics feature. Are you using the right hashtags? Does your audience prefer videos to photos? Do you want to know your best time to post and interact with your followers? 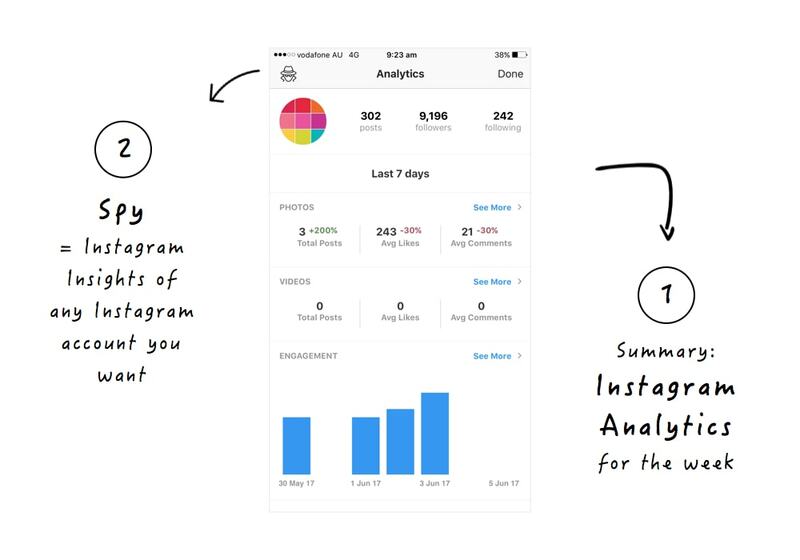 You need to track your Instagram Analytics. 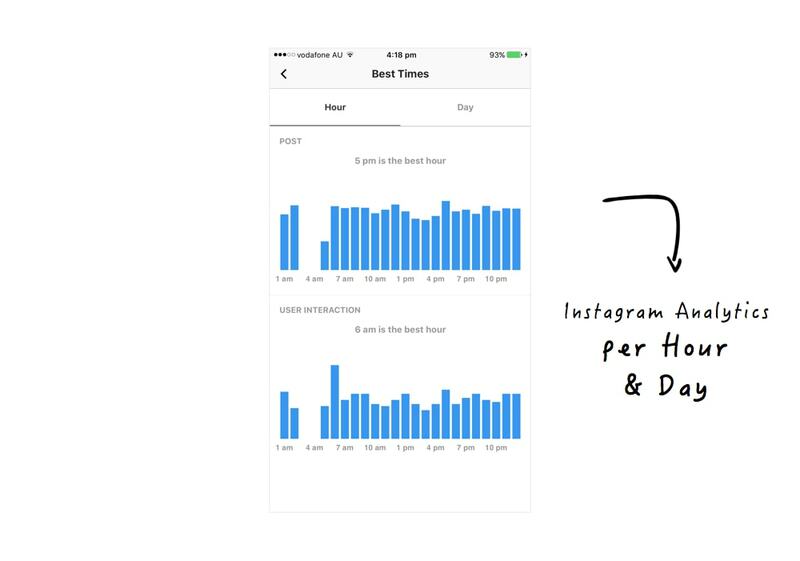 When you track your Instagram insights you can make better decisions and grow faster. 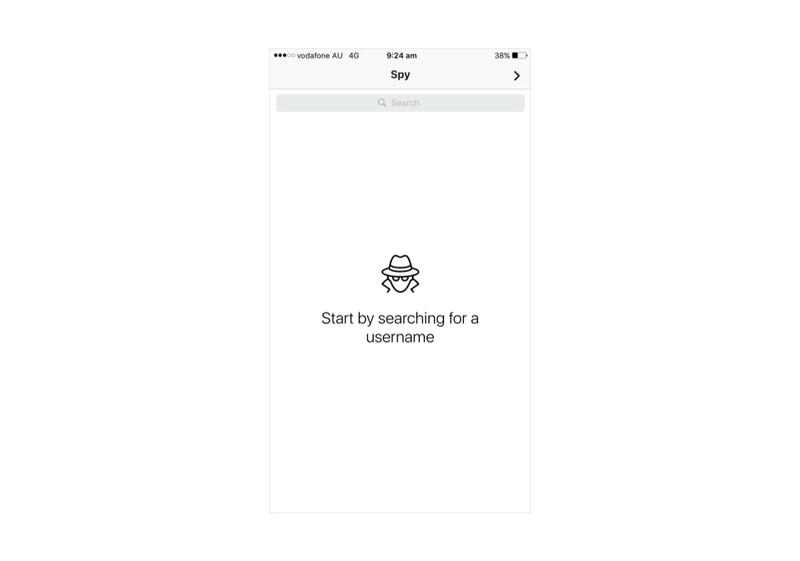 Update: Due to Instagram’s latest API changes, the Spy feature was removed from the app. 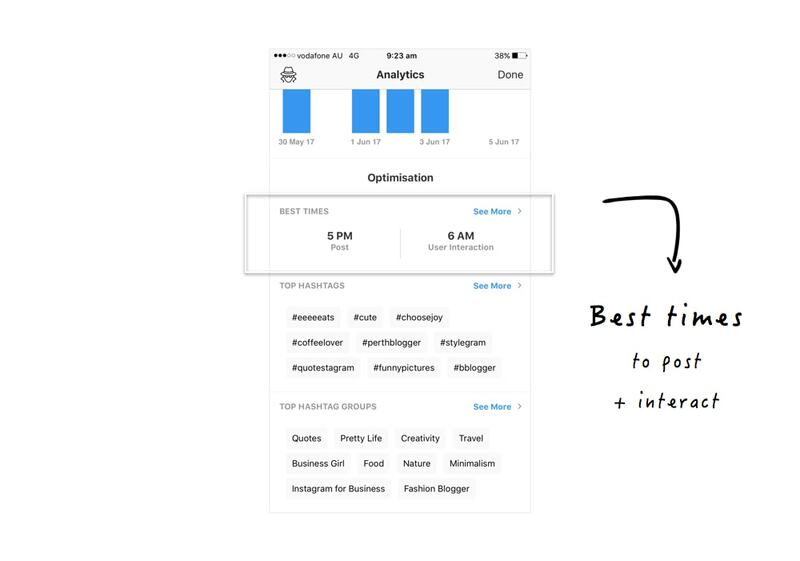 Let’s talk about our Instagram Analytics first. This page gives me a snapshot of how I am going this week. For each section, I can dive deeper into the Analytics by tapping the “See More” button. Total posts: Did I post more or less than last week? Average likes: Does my content attract people? Average comments: Does my content engage people? 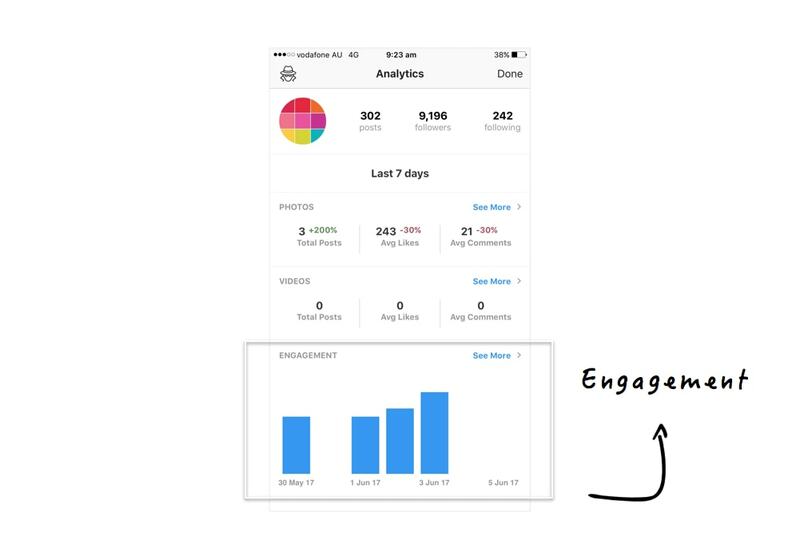 Action Tip: Which post type drives more engagement to my account? Do people prefer videos or photos? Pro tip: I can slide right on a graph to go back and see my historical data. 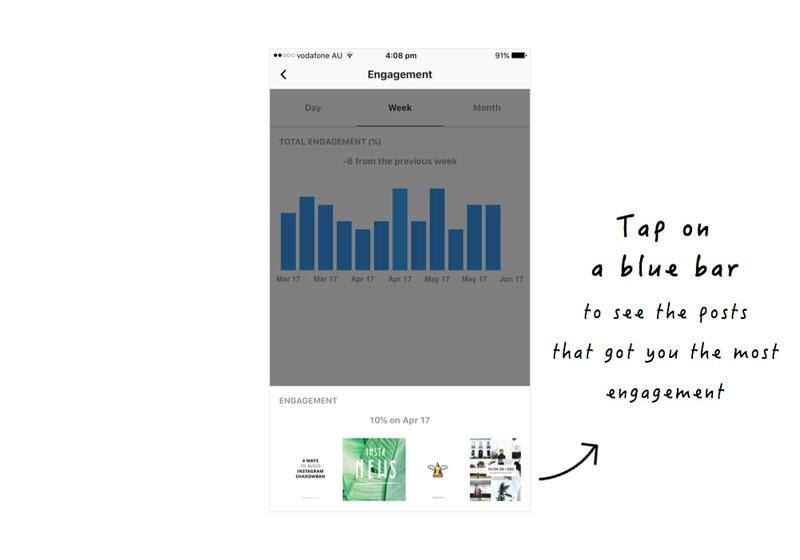 Pro tip: Tap on a blue bar to see what post(s) got you the most likes, comments and engagement (including your engagement rate for that day, week or month). How good are you at sparking interest and conversations with your audience? 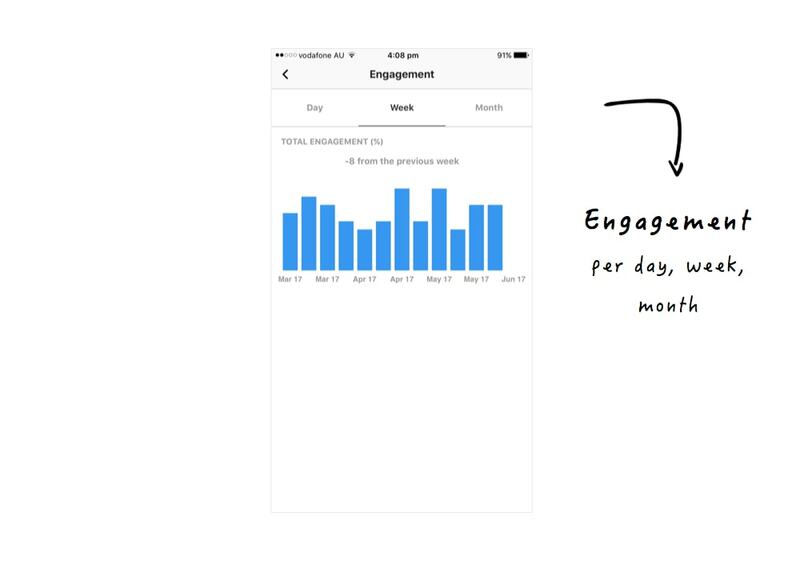 Pro Tip: Tap on a blue bar chart to see exactly what post(s) got you the most engagement that day. And see your Engagement Rate. For example, mine was 10% for this post. 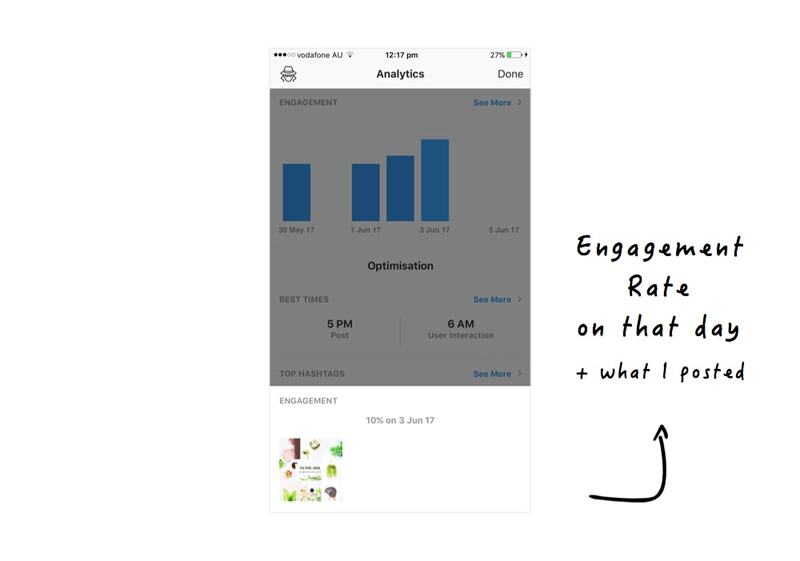 Pro Tip: If I tap on a bar I see exactly what I posted, my engagement rate that day / week / month. I also see what posts got me the most engagement. 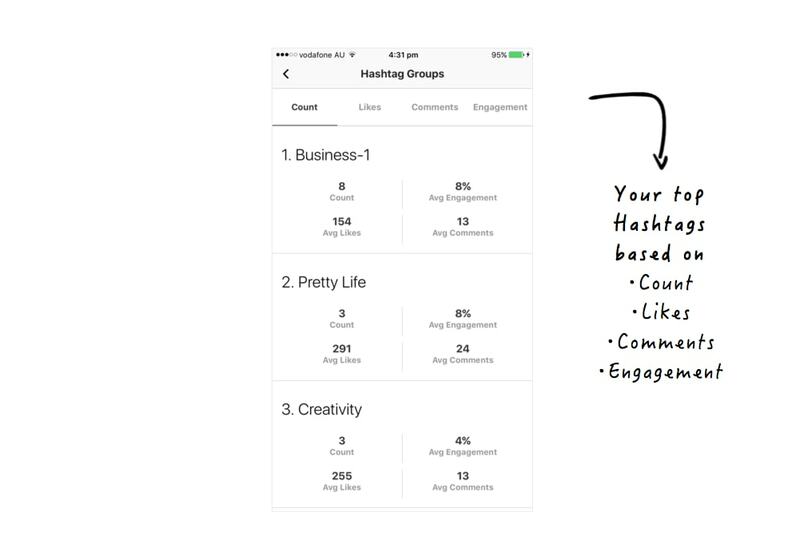 So if you’ve always wondered which hashtag or hashtag group get you the most likes, comments, engagement… you will love this. I can see my best time to post and best time to interact with people. I tap “See More” I see two tabs: (1) Hour and (2) Day. This is great to experiment scheduling my Instagram posts at different times of the day. I also see when people interact the most with my content. As you can see below, 5pm is my best time to post and 6am is my best time to interact. Pro Tip: Post on Instagram as consistently as possible (this can be everyday, 3 times a day, or every second day). Your Instagram Analytics will give you very powerful results that you can implement in your Instagram strategy. 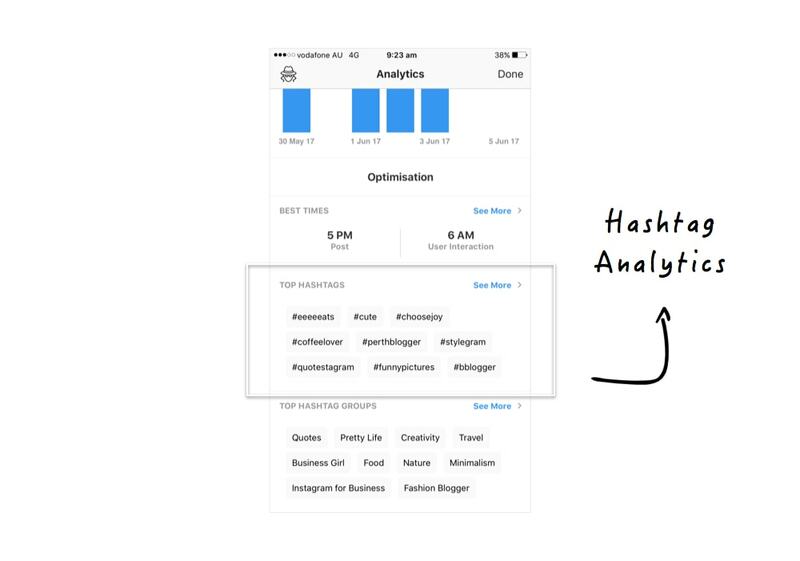 This is one of my favorite tools: Instagram Hashtag Analytics. Finally! I know what my best hashtags to use are. As you can see below, I was experimenting a lot with my hashtags to test the tool. So you see very diverse hashtags in my hashtag analytics (which might not be relevant to my feed). 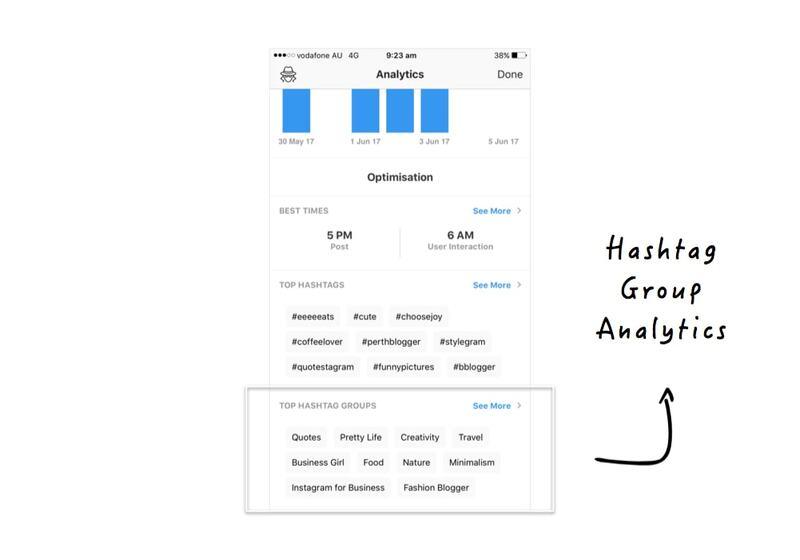 Pro tip: Prepare a strong hashtag strategy to make the most out of your Instagram Hashtag Analytics. 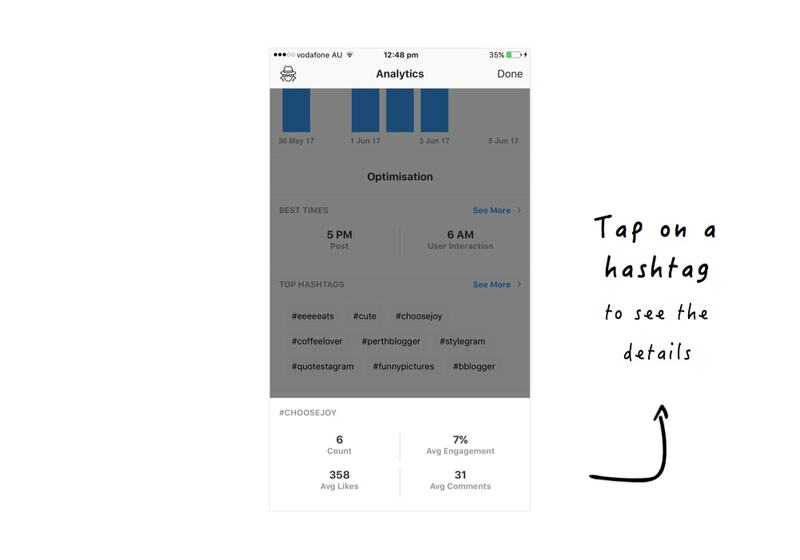 Pro tip: Tap on a hashtag to see deep hashtag analytics. I can see how much engagement, average likes and comments a hashtag got me. 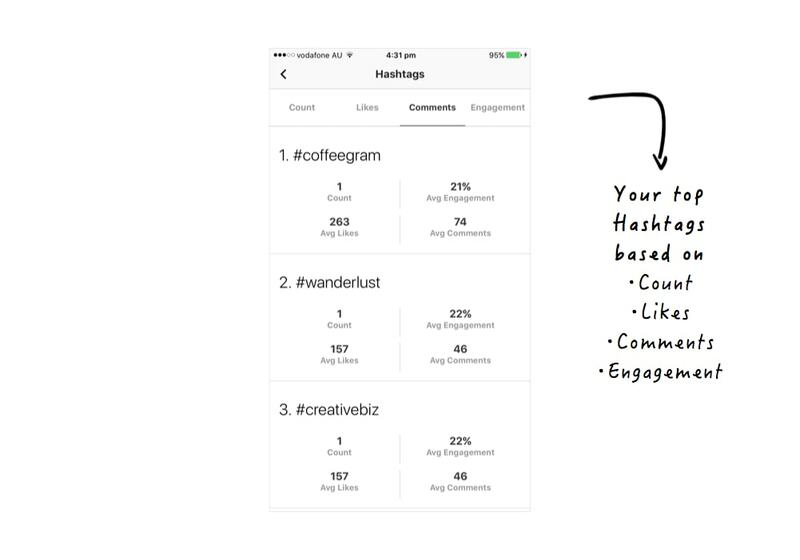 Do you want to know even more about your hashtags? You will love this feature. Now I can refine my hashtag strategy even more. I will write another article about it soon (subscribe to be notified). If you follow us on Instagram, you know we’ve been showing you how to save hashtag groups and how to use the Hashtag Finder in Preview. This is why. This is one of my favorite sections of the Analytics feature. I can see exactly which hashtag group performs the best. Pro tip: If you haven’t saved any hashtag groups yet, start now by saving 4 – 5 hashtag groups. Read this tutorial on how to save hashtag groups in Preview App. Guess what? You can find all this information for any other Instagram account. 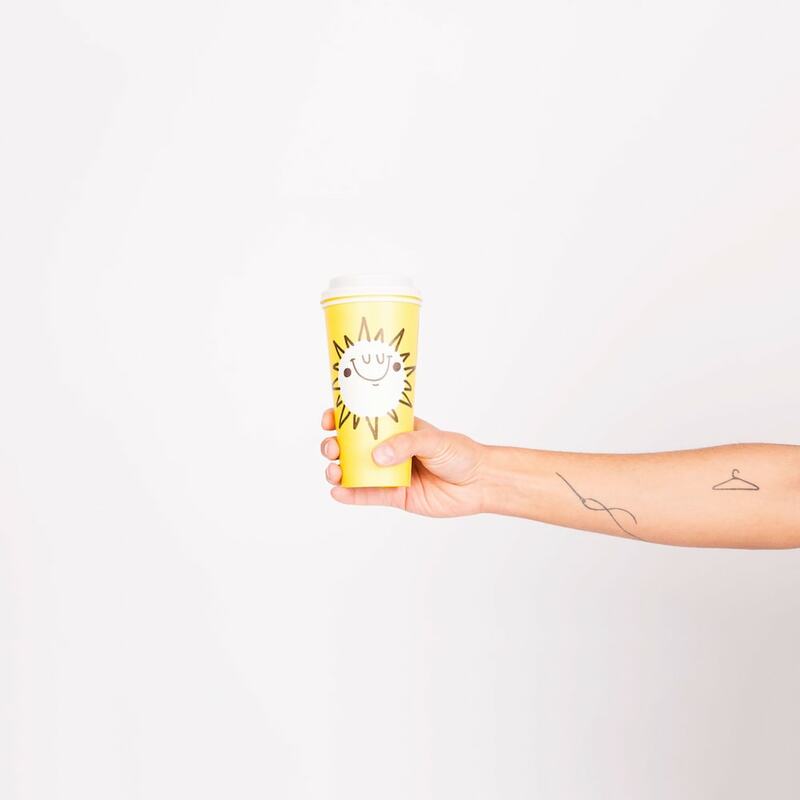 Do you have a favorite Instagrammer? A competitor? Have you always wondered about their performance? When they post, what hashtags they use, their growth? Tap on the “Spy” icon on the top left corner of your screen. 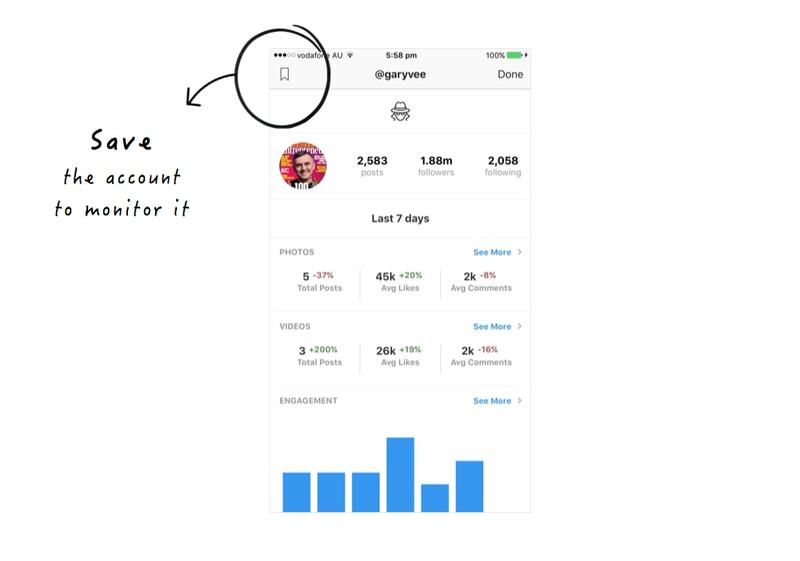 You can see your weekly Instagram Analytics for free. 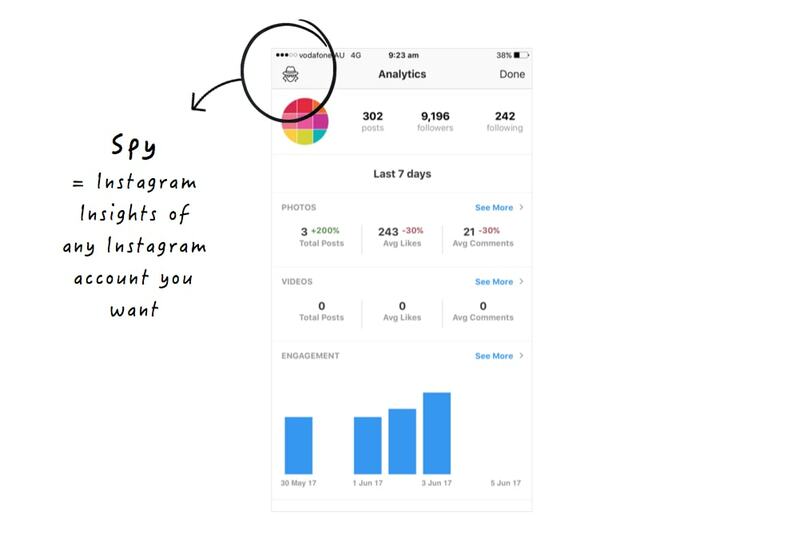 Then subscribe to unlock all Instagram Analytics sections and the Spy tool. It’s only US$6.99 per month. There’s more. We want you to kill it on Instagram! So we decided to include all the features of Preview App. 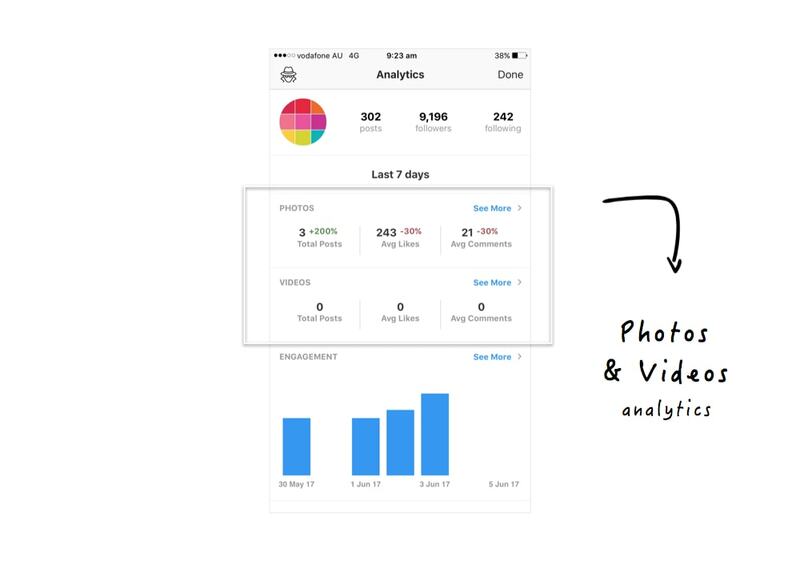 Love our Instagram Analytics tools? Tell us in the comments, which one is your favorite Instagram Analytics section?